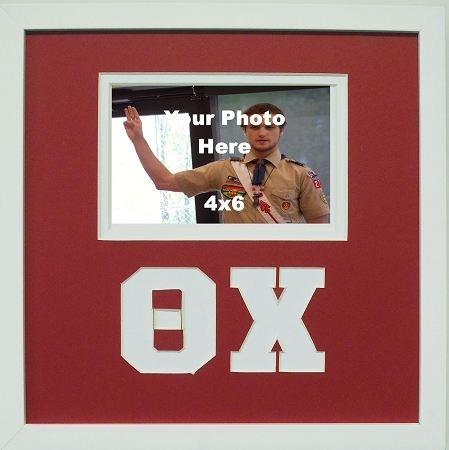 Theta Chi Fraternity friendship photo frame holds a 4x6 picture. Custom wall mount picture frame has red and white mat board with carved Greek initials in top mat. White wood frame has easy access from back to insert your photo includes glass and wall mount hanging system. Great for gift exchange or to display your favorite group or individual photo. 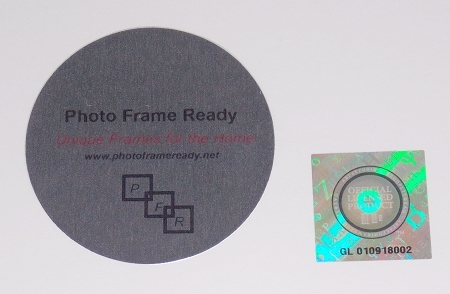 Custom picture frame size is 10x10.